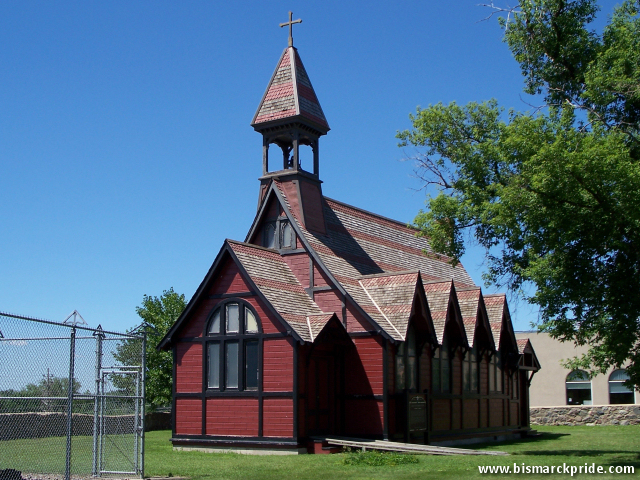 Constructed in 1880-1881, the Bread of Life Church is the oldest remaining church in Bismarck, and most likely in all of North Dakota. The church was later called Saint George’s Episcopal Church. The church was first located at Avenue A & Mandan Street, then later relocated to corner of 3rd Street & Rosser Avenue. It was donated to the Camp Hancock Historic Site in 1965, where it remains today.